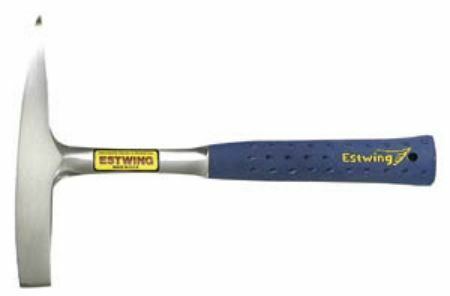 Estwing, known for their strange-looking-but-quite-comfortable framing hammers, also makes other hammers — such as this welding/chipping model. While hopefully you’re not spending that much time chipping at your welds, there’s no reason to suffer discomfort in doing so — and Estwing’s hammer looks pretty darn comfy. The model pictured is 11″ long and weighs in at 14 oz, so it shouldn’t be that difficult to swing. It’s got a smooth face, and a nylon/vinyl padded grip. Street pricing checks in right around $20.